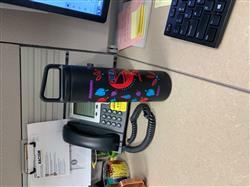 This 20oz Wide Mouth Bottle will keep your beverages cold or hot. Inspired by our give project in Honduras with Water1st and Marla's Empowerful story, this bottle is great for people on the go. I had my eye on this bottle for months and was thrilled to take advantage of the holiday sale for its purchase. It’s works wonderfully! It’s light, easy to drink from, easy to clean and beautiful. I may order another for my daughter who complimented me on it this morning. Not only is the bottle functional and beautiful, I have gotten so many compliments while using it. Thanks for a wonderful product that also supports a worthy cause. As all of Miir's products are, this is a quality bottle, keeping cold, cold and hot, hot... for hours on end. It's stylish too. I bought this for my daughter and she loves it. This is my second MIIR purcahse and I could not be happier with the bottle. The design is fun and the bottle is excellent quality. I had been using Hydro Flasks but found out that their parent company is Helen of Troy and conducts animal testing so I immediately stopped using their products and got rid of all of them. Switching worked out because I prefer to support organizations that have a commitment to environmental projects, MIIR is the perfect choice for sustainability and quality products.